Reading is one of my favourite pastimes and I’m passionate about books, but brain fog usually makes it hard for me to concentrate to read more than a few pages at a time. The only exceptions to this are when a book absolutely fascinates me, or when it has the right combination of simple language and engaging story. 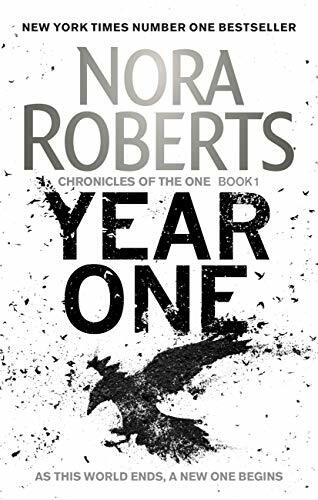 Nora Roberts is a bestselling author, the reviews of this are enthusiastic, and the book was recommended by someone I follow and admire on Twitter, so although it’s not my usual thing, I thought I’d give it a go and see if it fell into either of the two above categories. “It began on New Year’s Eve. “The sickness came on suddenly, and spread quickly. The fear spread even faster. Within weeks, everything people counted on began to fail them. The electrical grid sputtered; law and government collapsed—and more than half of the world’s population was decimated. The novel has 4.5 stars on Amazon UK from 167 reviews. People describe it as a page turner, but others comment on poor characters or say it is ‘too dark’ in comparison to her other novels. Overall, the novel was readable and enjoyable, and the plot held a few surprises and some powerful scenes. I got through it in a few days, and to find a book I can just read and read without my brain shutting down is always a blissful relief. The characters were admittedly lightweight, but this was counterpointed in an enjoyable way by the fact that Roberts was willing put them through some uncompromisingly dark and gory experiences. Add in the magickal element, and there was a certain Buffy-esque feel to the whole thing. However, the characters and their relationship arcs honestly weren’t great. It was all a bit too ‘Mills & Boon apocalypse series’ in that area for me, and I had to work to push through that (Roberts is best known for her romance fiction, so this makes sense). I’d have loved to have had some main characters who weren’t conventionally attractive, successful and straight. But I was searching for an easy and diverting read for a foggy brain and I certainly found that. I’ll be buying the next one when it’s released in preparation for my next crash! Would I recommend Year One to other spoonies? I think many of my chronically ill friends would enjoy this. It’s easy to read but is dark and inventive enough to be gripping too. I can also see it getting more into its stride as the series progresses.